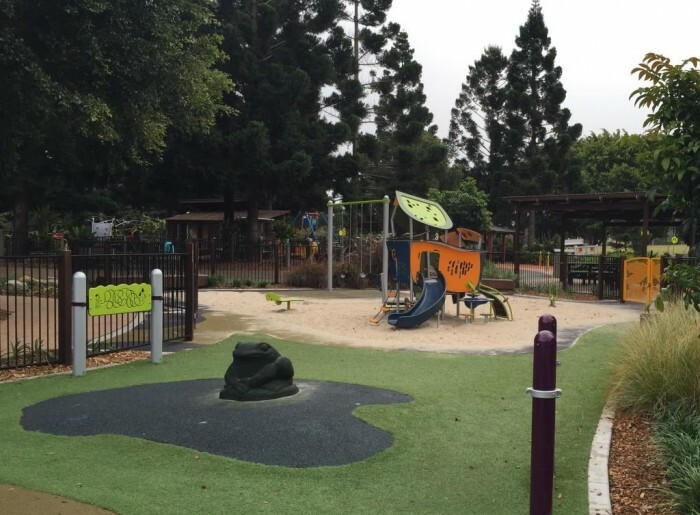 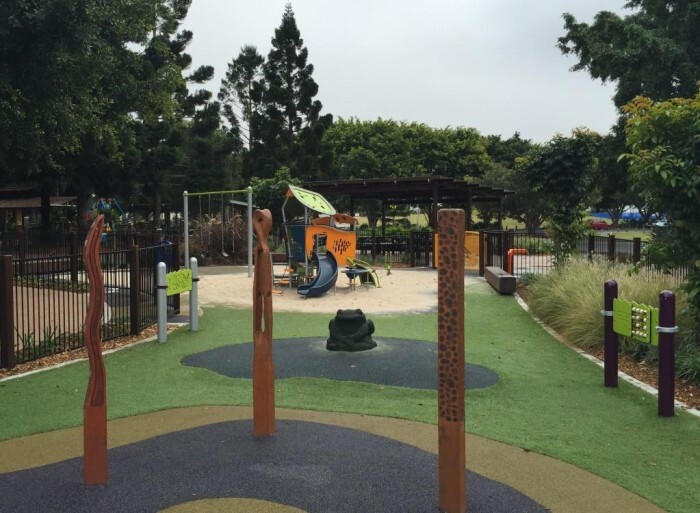 Designed together with Aspect Contractors, this extension to Pine Lakes Park complements the existing playground and provides a safe and sound inclusive playspace for toddlers. 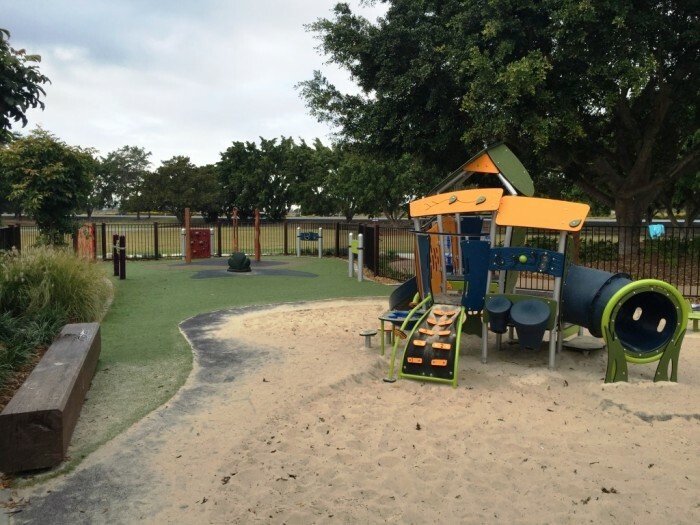 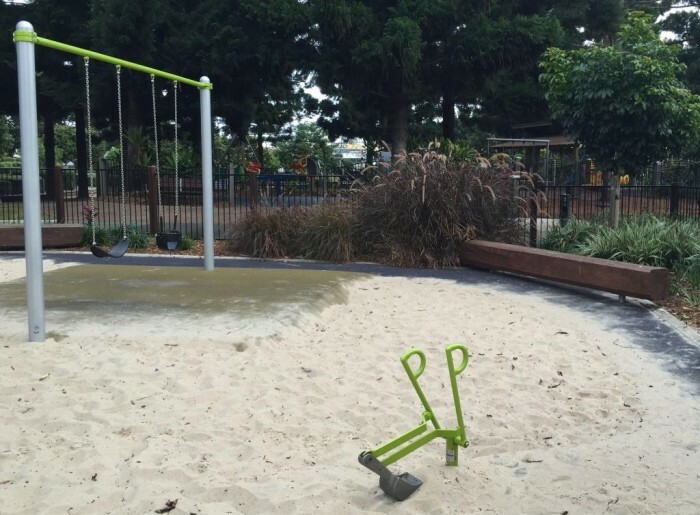 The playground fits perfectly in the existing infrastructure of the park and integrates with soft landscape, different surfaces, topography and play features. 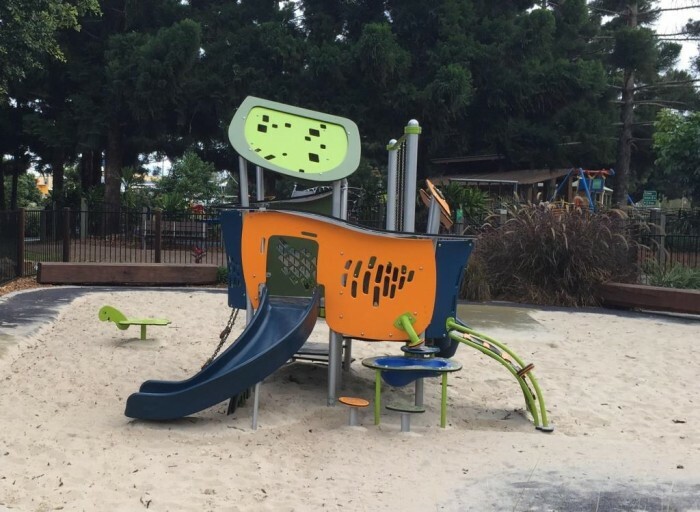 Offering a wide range of features, the Smart Play ‘Motion’ has 16 individual play activities, including a race car track at the top of the upper level. 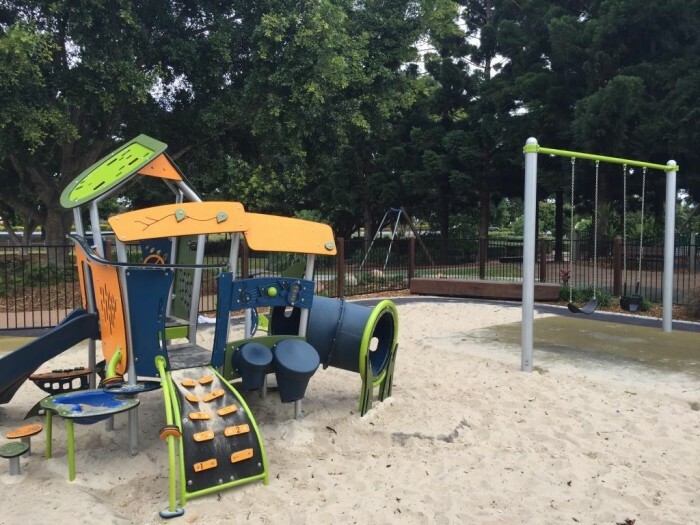 Music, tactile, climbing, exploration – the younger children can stay busy here for hours! 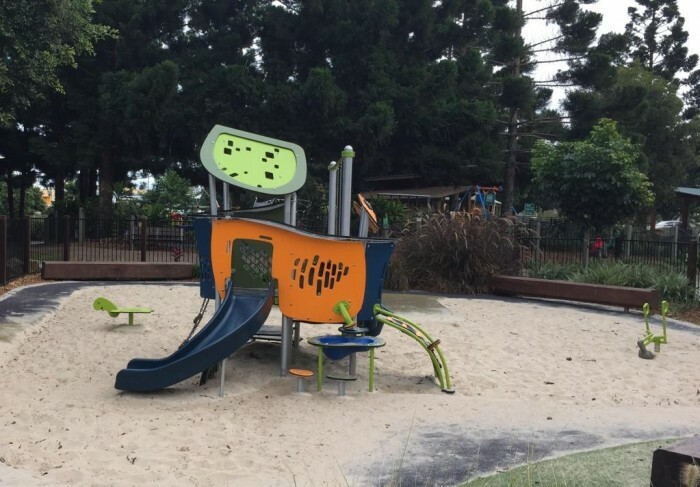 Additional items in the play area are sensory touchwood totems and a rubber frog on a rubber mound, accessible play panels and an accessible super scoop. 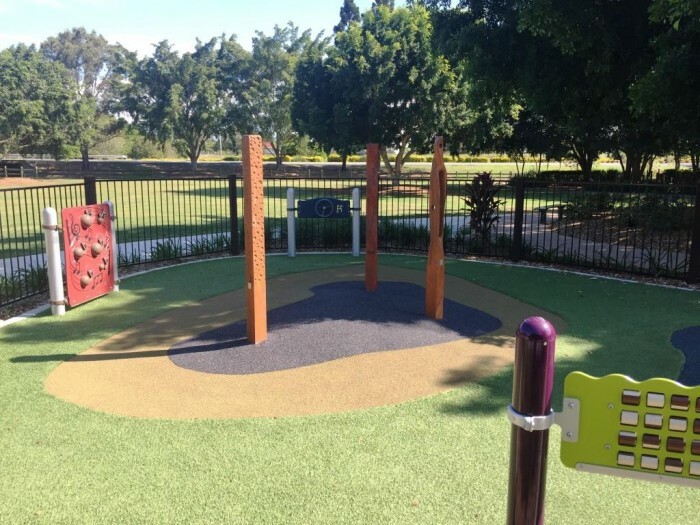 A 2 seat swing completes the playspace with strap and toddler seating options creating a great space where children of all abilities can play and learn together.